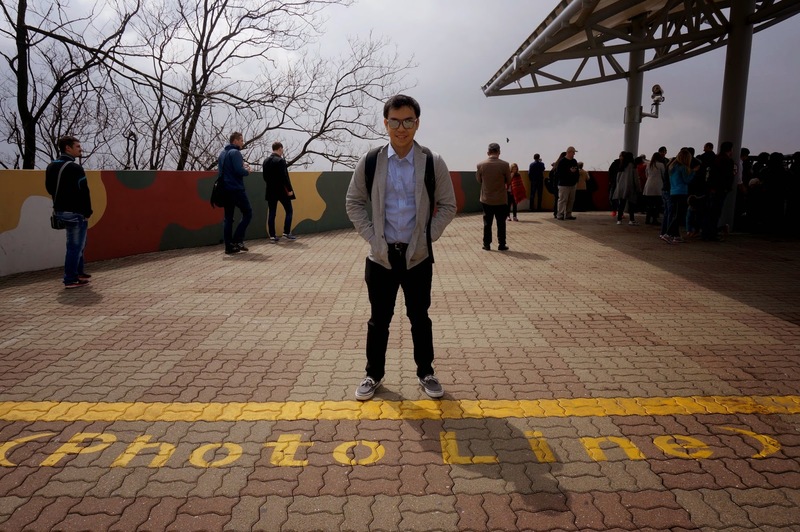 ChaMike learns Korean history at DMZ. 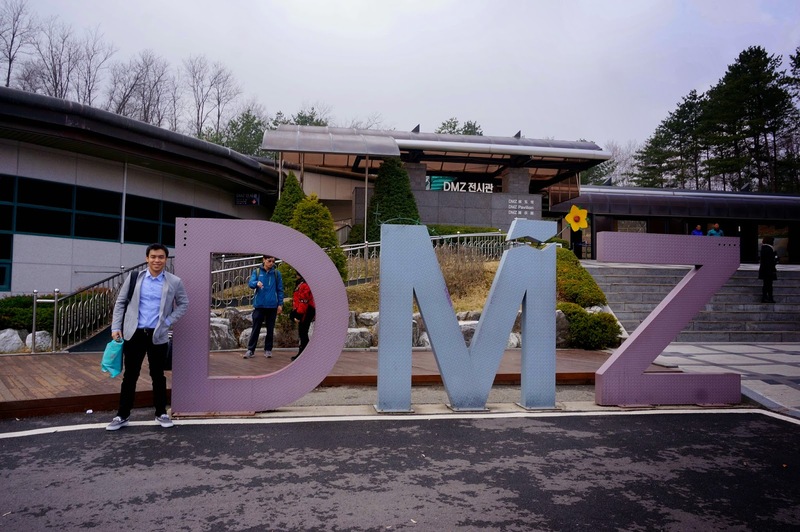 ChaMike wanted to do something daring for the fourth day so we thought that it would be quite awesome if we visited the DMZ or Demilitarized Zone. 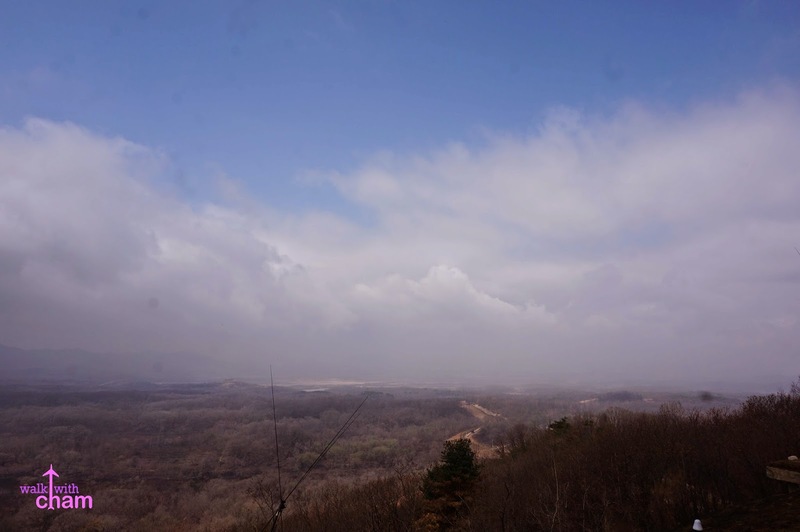 North and South Korea are divided ever since World War II and visiting the said site would somehow give us an idea as to the current status of the relationship between the two countries. 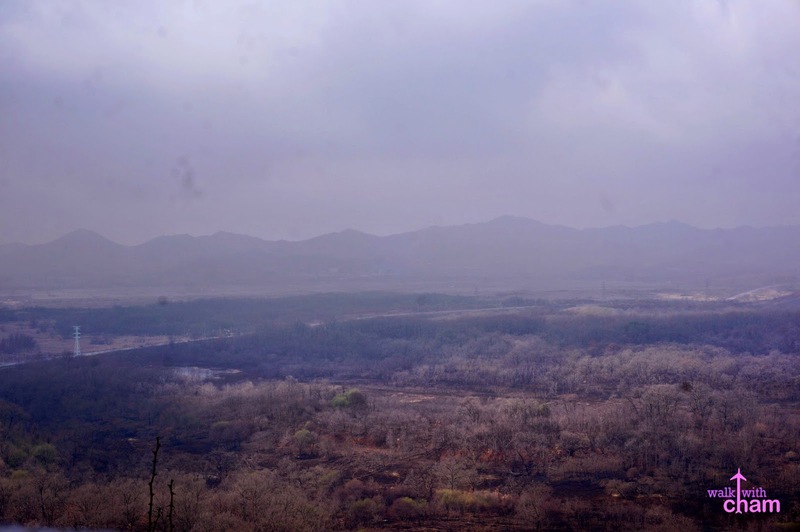 Demilitarized Zone in Korea is a strip of land in between North and South Korea. 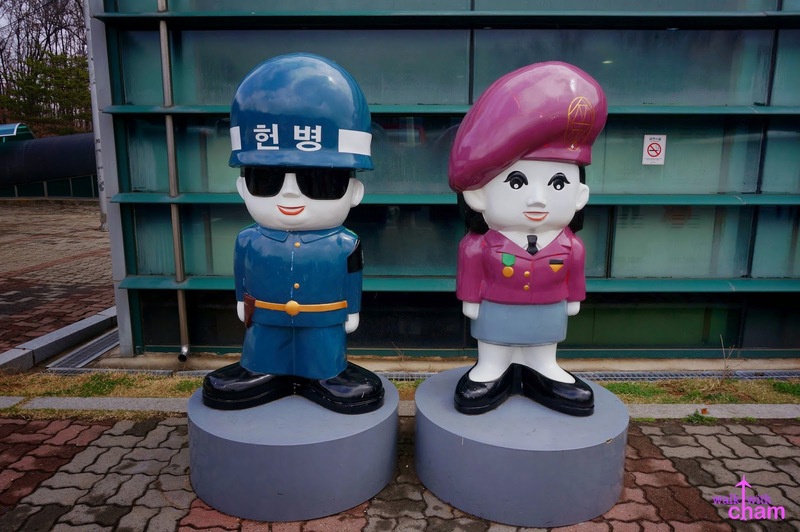 It was established at the end of the Korean War and serves as the division between the two countries. 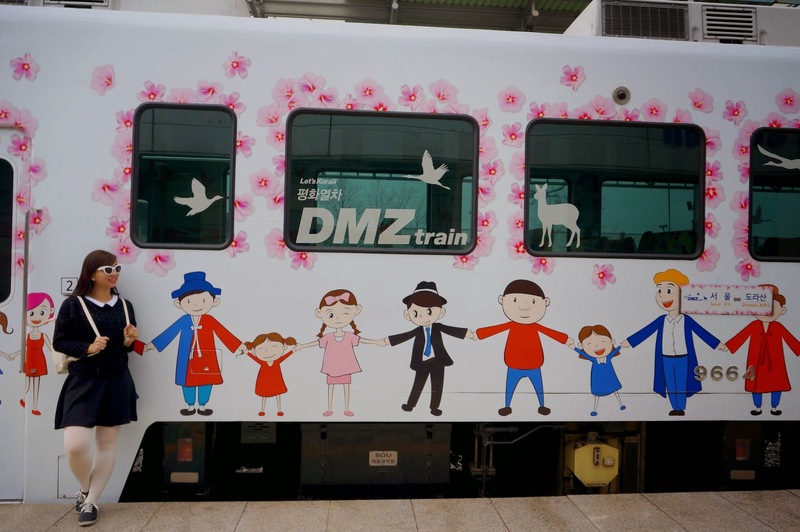 If you want to visit the DMZ going here on your own is not possible as you need an accredited travel agency to tour you around the vicinity. Private cars and taxis are not permitted, only designated shuttle buses can enter because of the strict security they have within the area. For us we relied on what the hotel offered- Cosmojin Tour. I already came across this travel agency on my research so I know this is a reliable one. We were picked up directly at 7am at our hotel by a big and comfortable tour bus. After a couple of hours (wasn't able to track the time as I slept the whole trip) we stopped at Imjingak. 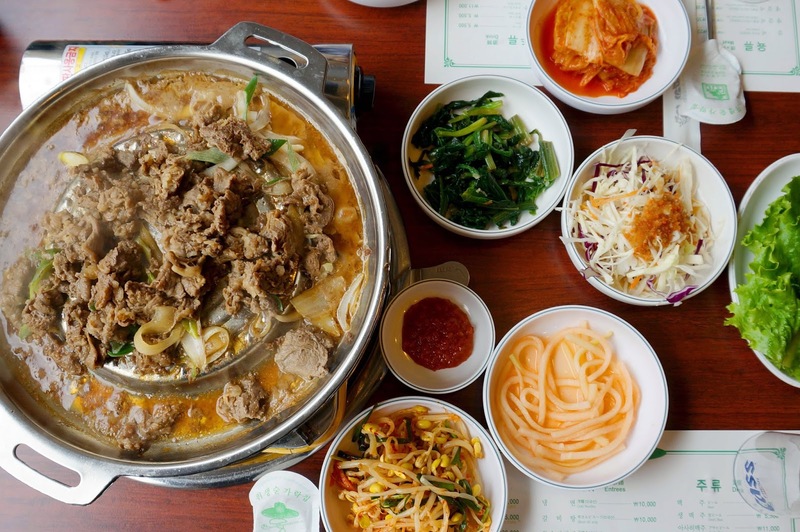 Built in 1972, Imjingak serves as a place to comfort refugees who once lived in North Korea. 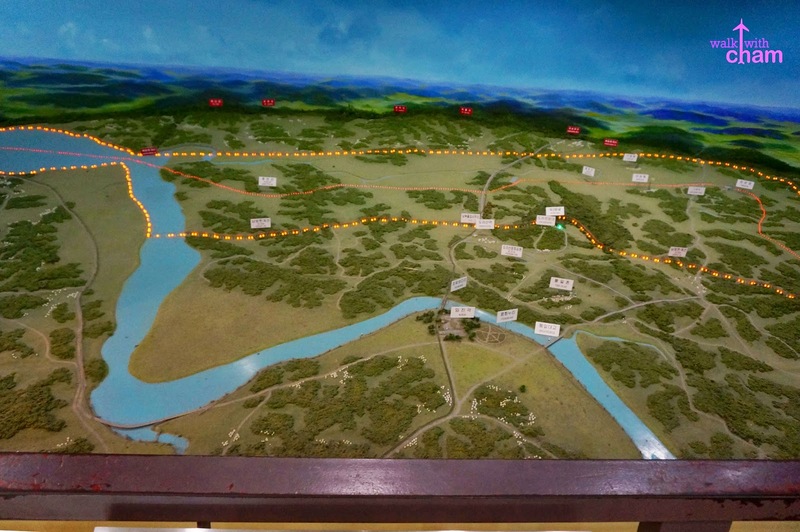 This was where our tour guide bought the tickets going to DMZ. So while she was buying tickets ChaMike roamed around the area. It was also really cold at that time so we bought hot chocolate to warm us up. 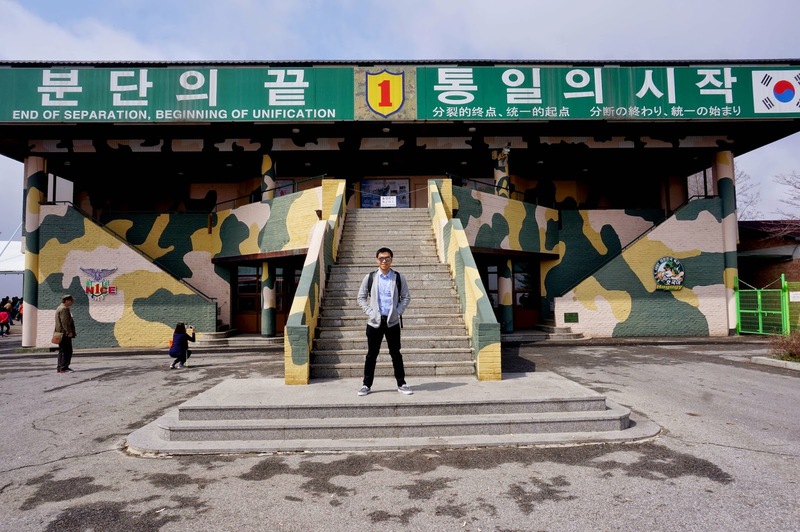 After visiting Imjingak the bus passed by the Unification Bridge and stopped at a military check point where we were asked to show our passports to the soldier (so better bring one because it is required). Picture taking is not allowed though. 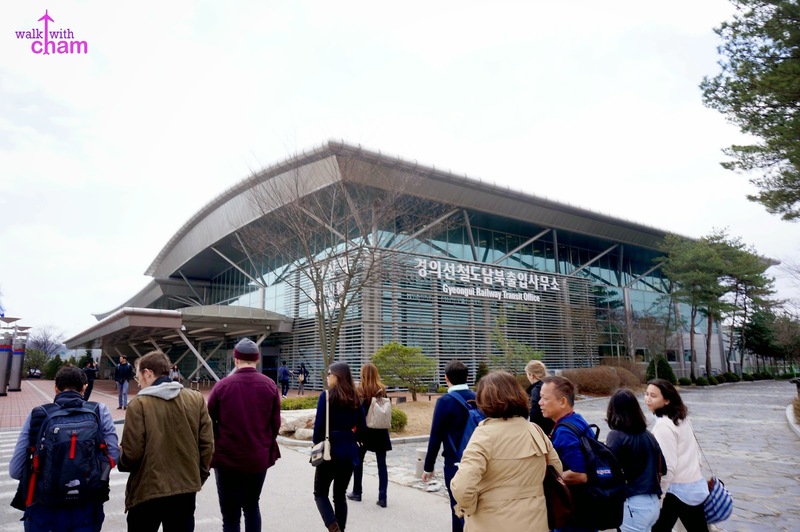 Our third stop is at the DMZ Theater and Exhibition Hall. 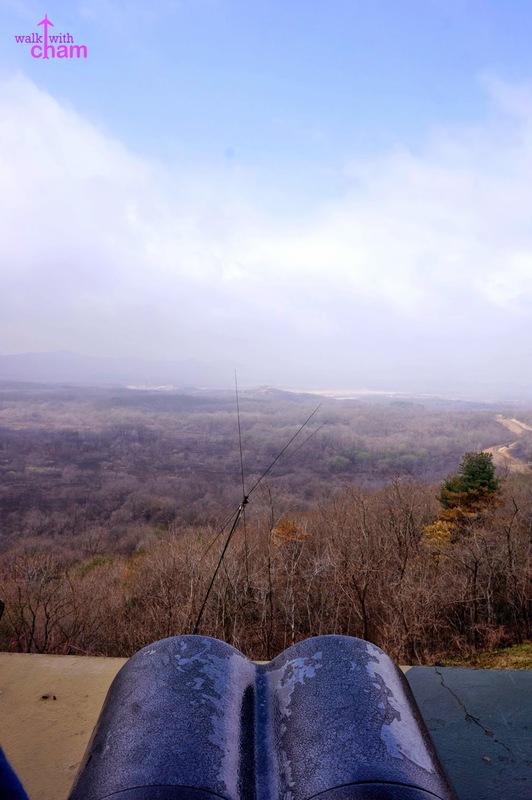 Here in the area we were able to watch a 15-minute AVP about the Korean War and DMZ. The guide was in a hurry so we had no time to roam and appreciate the hall. 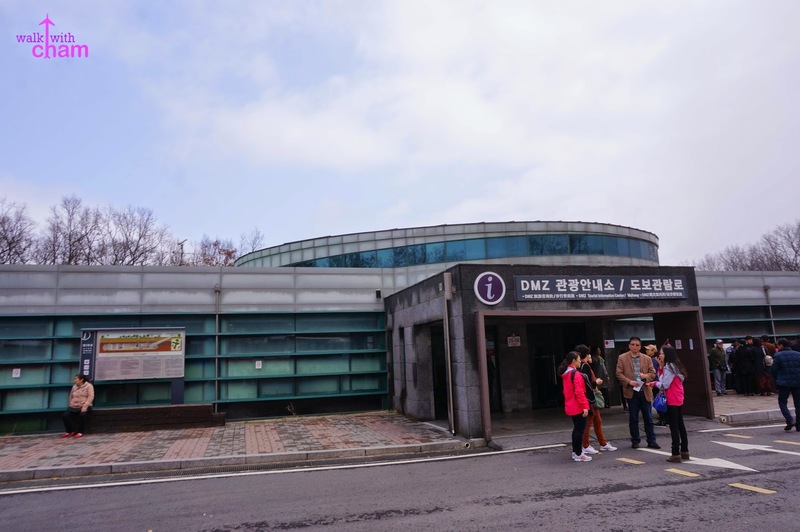 Just in front of the DMZ Theater is where the Third Infiltration Tunnel is located. 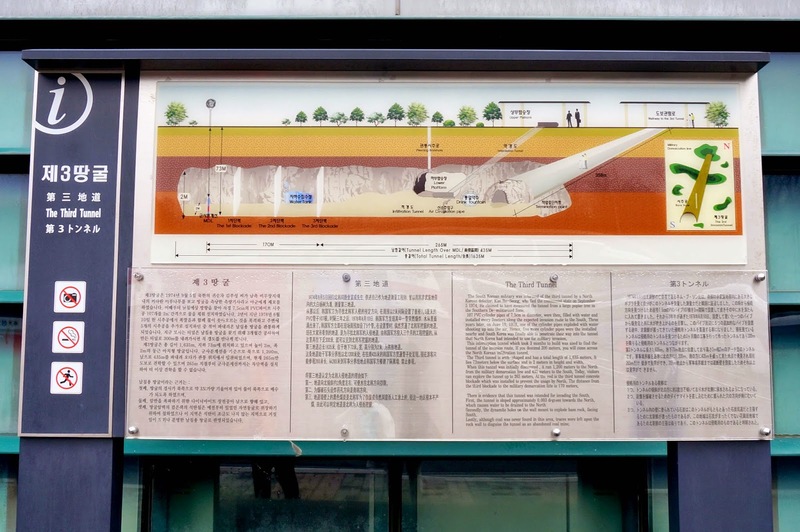 The tunnel was discovered in 1978 and is believed that it was built by the North Koreans. 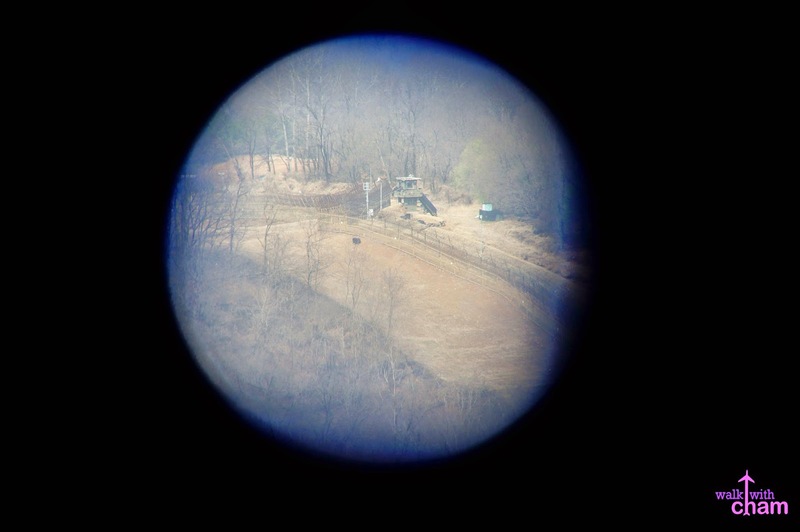 South Koreans knew it is evidently designed for a surprise attack in Seoul. Going down the tunnel we weren't allowed to bring anything (even cameras!) and were asked to put all our stuff at their locker. Then we were asked to wear a hard hat. The tunnel was 300 meters deep, going down was not a problem (it was the going up that wa hard). The tunnel had a low ceiling making it hard to walk if you are more than 5'4 tall. 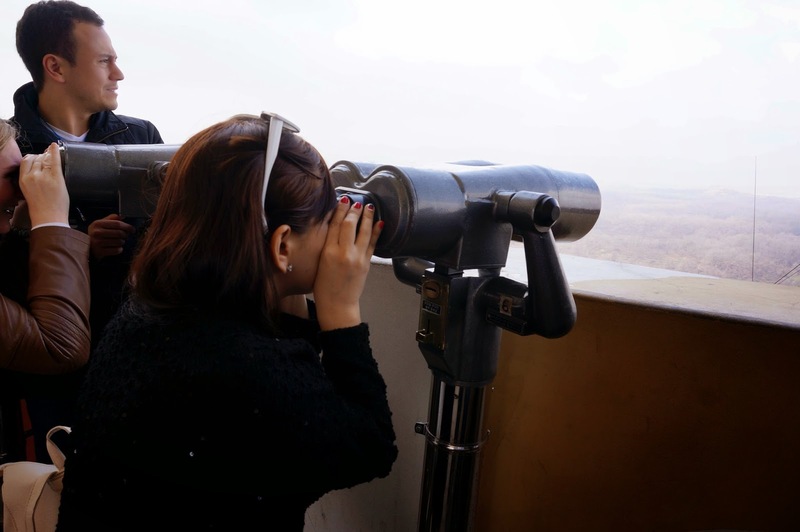 Located on top of a hill, you can view a part of North Korea from the Dora Observatory. 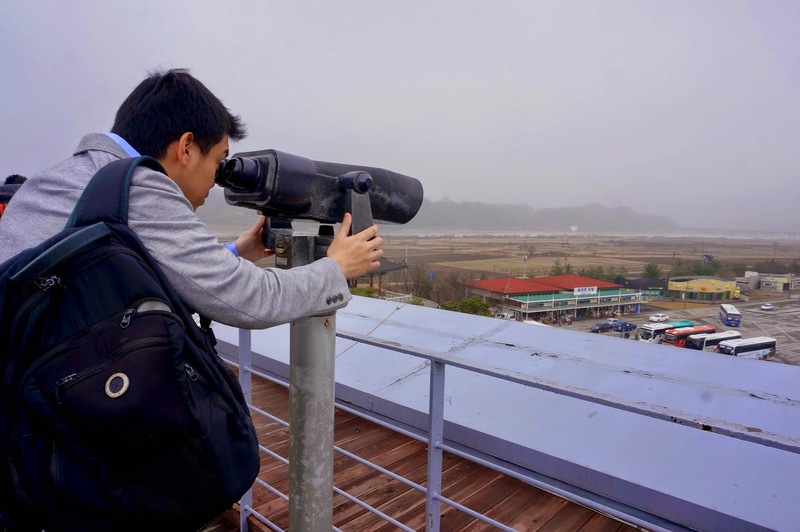 Before, picture taking had a limit but fortunately now we can bring our cameras near the binoculars. 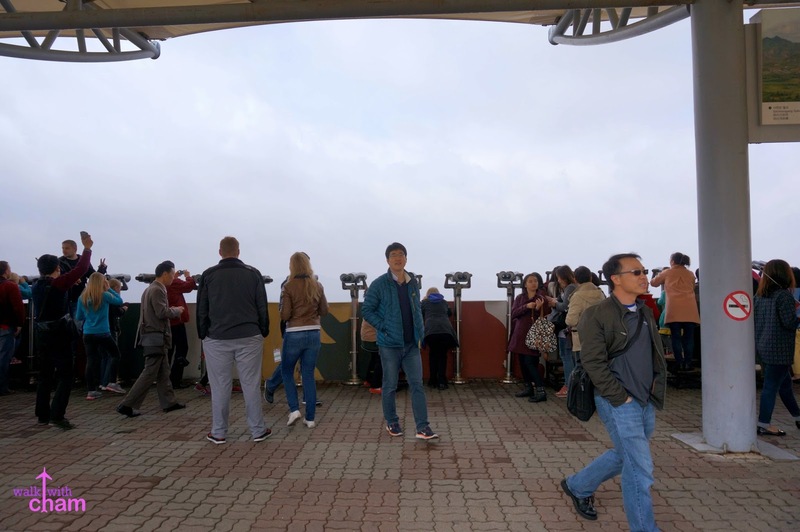 During good weather you can see the North Korean Flag from up there but sadly we didn't during our time. 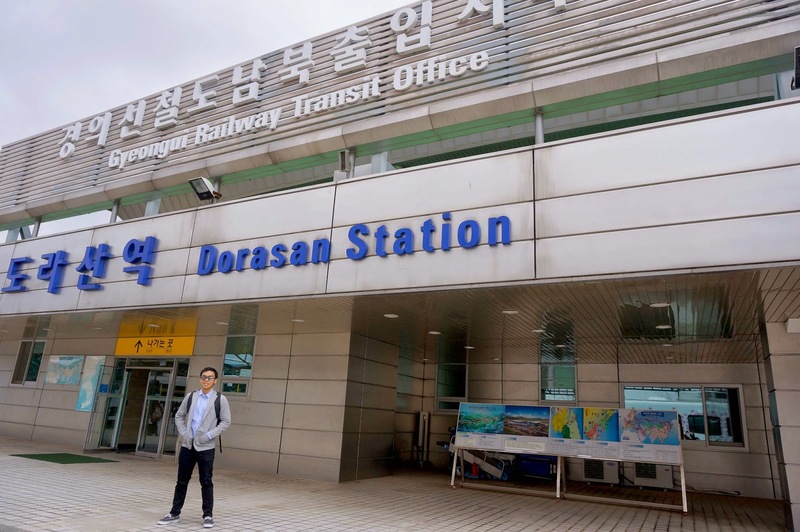 Our last and most exciting stop was at the Dorasan Station. 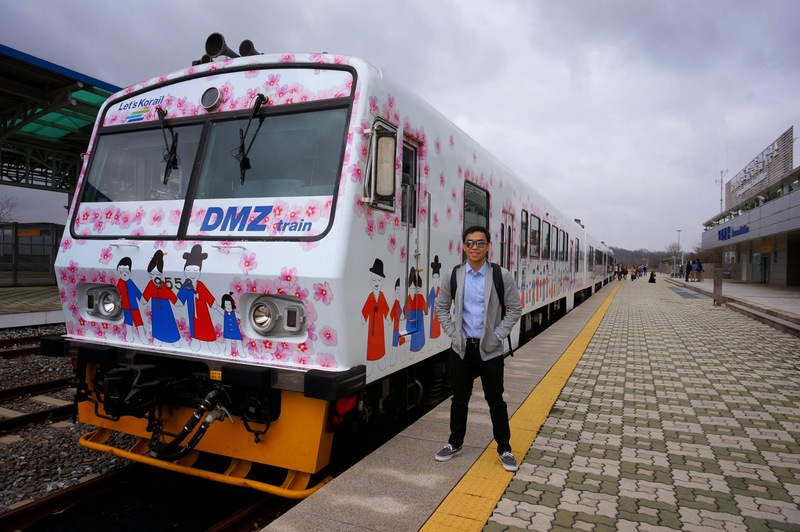 The station that acts as the last stop before North Korea. 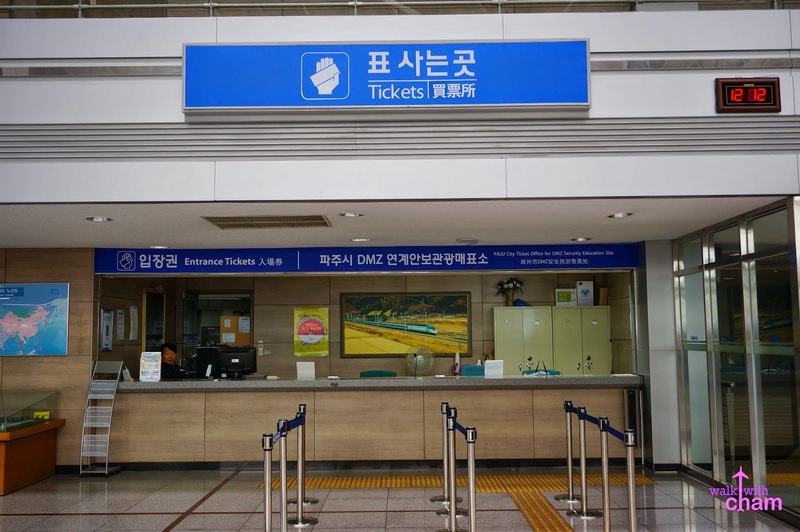 In the hope that North and South Korea reunites again this station plans to connect this via Seoul Subway line to be linked to North Korea and also to European continent via the Siberian Railway. 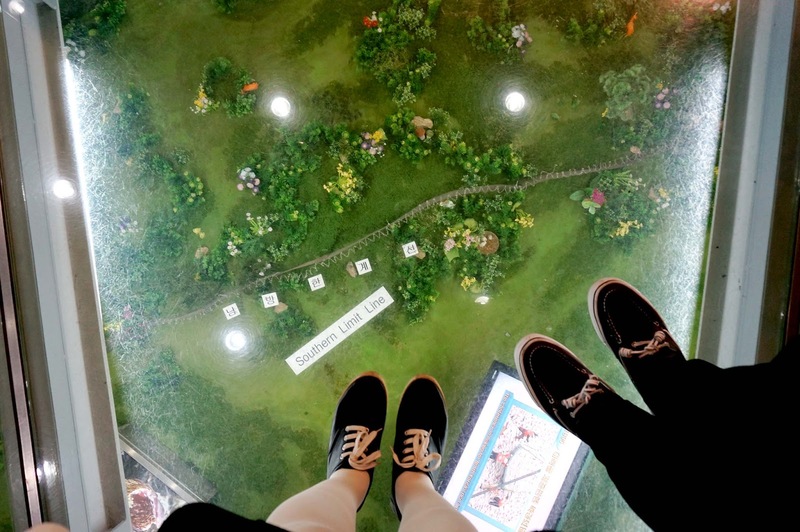 ChaMike had the chance to see the the platform which was quite cool! Again we were also in a hurry due to the time limit set by the tour guide so we had to be quick in exploring the station. 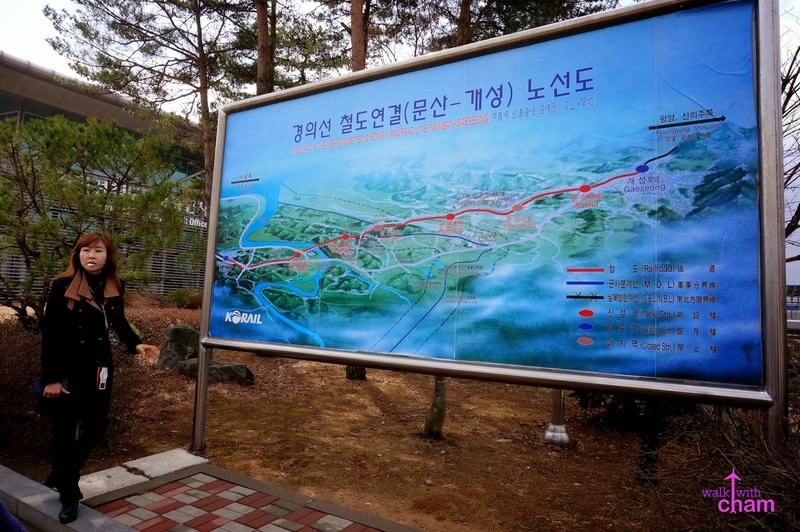 Walk with Cham to Pyeongyang North Korea! Hoping that someday in the near future this station will be fully functional. Stamping. 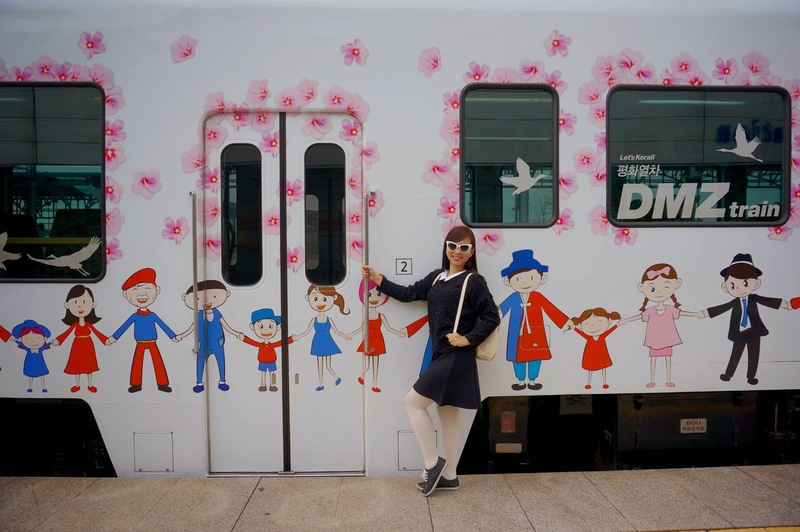 Evidence that I've been to Dorasan Station. Honestly, I was not entirely impressed with the tour. The tour guide didn't give enough time for the tourists to explore all the areas and instead made us dance as a punishment if we were late (because we didn't want to dance we tried to be in the bus earlier than the deadline). She was also a bit rude which made the trip not enjoyable. Or probably I wasn't really fond of the whole guided tour to begin with. 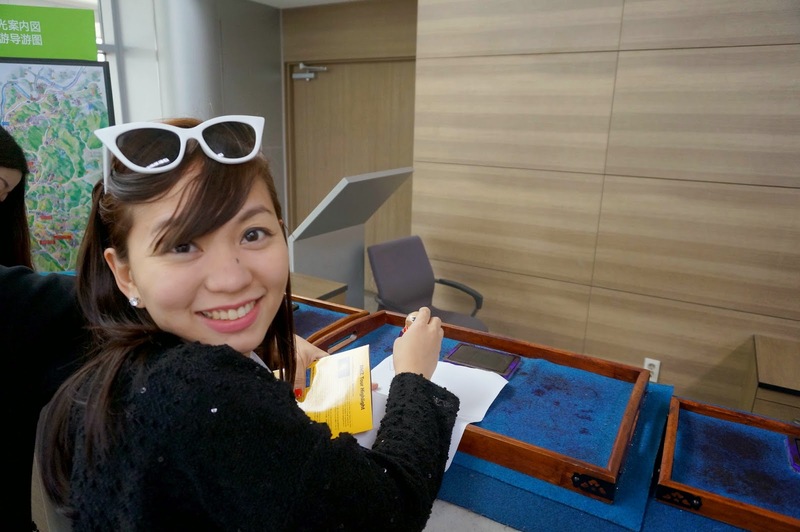 Moreover, spending so much time in the jewelry place and being offered overly priced gem stones just didn't make this tour any better. 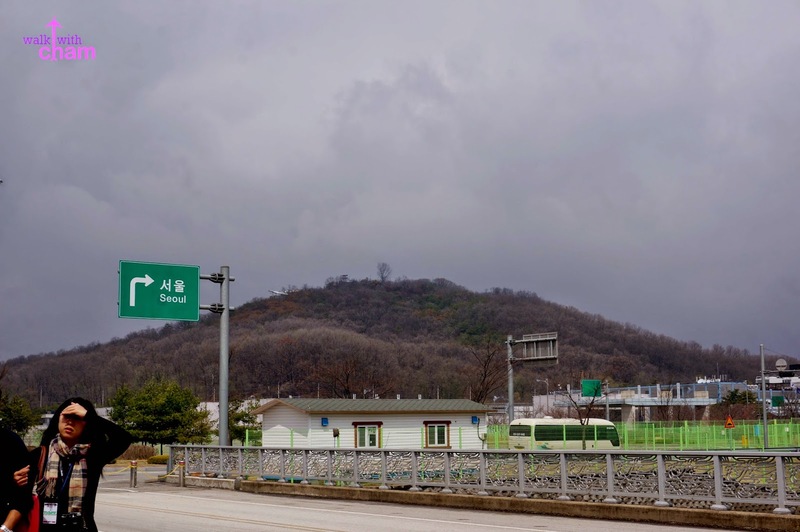 If I were to do the whole trip again, I'd probably get the JSA Tour (Joint Security Area) where we can experience the Blue House, the place where to reunite families of the North Koreans and South Koreans.